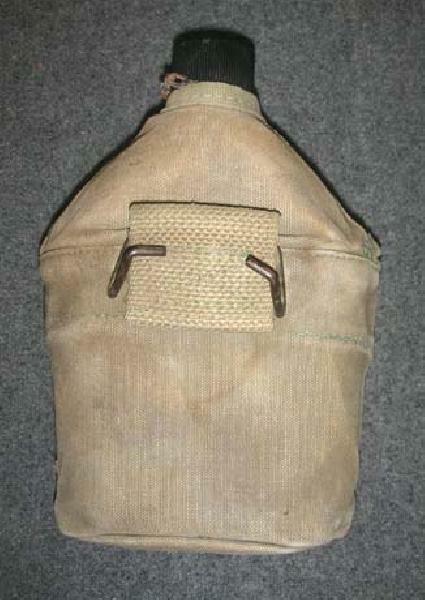 Desirable 3rd pattern cross flap cover with the funnel hole in bottom. 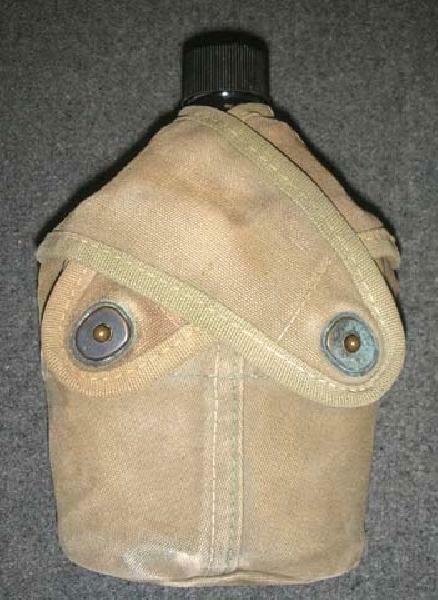 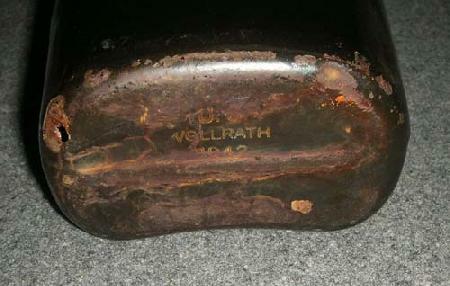 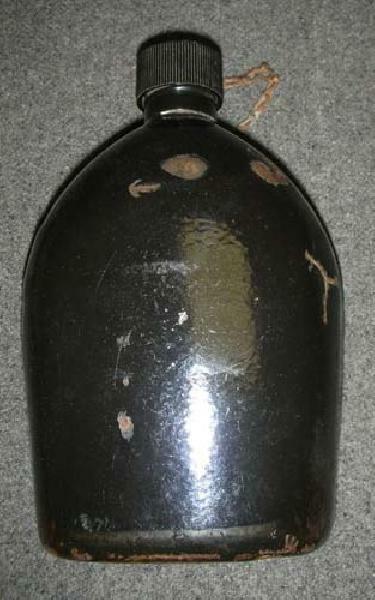 VG, no markings, canteen (see pgs 157-159 and 166-167 of Alec Tulkoffs book: Grunt Gear). 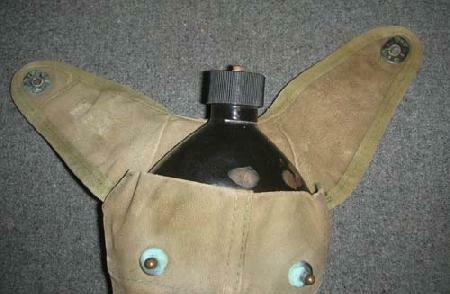 Cover shows light  moderate wear and has a small pull on its side. 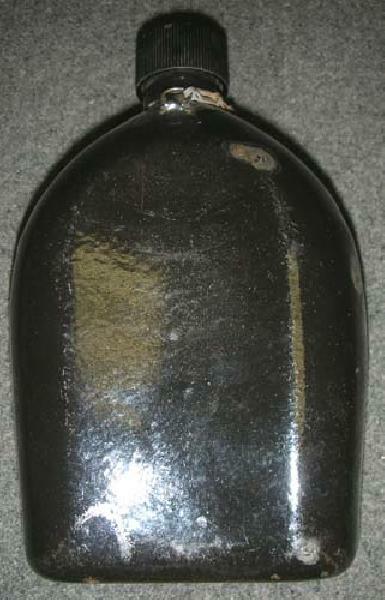 Canteen is chipped and has a small hole in bottom.